Today at its second annual Snapdragon Technology Summit, Qualcomm Technologies, Inc., a subsidiary of Qualcomm Incorporated (NASDAQ:QCOM), made several customer, ecosystem and technology announcements aimed to deliver significant advancements and innovation in mobile and Always Connected PC technologies. Cristiano Amon, executive vice president of Qualcomm Technologies and president of QCT, as well as Alex Katouzian, senior vice president and general manager of mobile for Qualcomm Technologies, were joined on stage by senior executives from Microsoft, Asus, Sprint, HP, AMD, Xiaomi and Samsung Electronics, each delivering technologies and products designed to support superior mobile experiences for the consumer using Qualcomm® Snapdragon™ mobile platforms. Amon was joined by Terry Myerson, executive vice president of the Windows and Devices Group at Microsoft, where they reiterated their collaboration and the progress made over the last several months, to deliver Windows 10 on Snapdragon. They were joined by Jerry Shen, chief executive officer of Asus, who announced the first Windows on Snapdragon device: the 2-in-1 convertible ASUS NovaGo, expected to be available early next year. Kevin Frost, vice president and general manager of consumer personal systems at HP, Inc., also joined Amon to announce a detachable HP ENVY x2 Windows on Snapdragon Mobile PC. This new class of PC can support an always on and always connected experience with Gigabit LTE speed*. It also supports beyond all-day battery life and thin, sleek, fanless PC designs, all while incorporating Windows 10. Mobile operators are also supporting Qualcomm Technologies’ initiative with Günther Ottendorfer, chief operating officer of technology at Sprint, announcing its support for the new Always Connected PC category and its desire to deliver unlimited data to the Windows on Snapdragon ecosystem. Qualcomm Technologies was then joined by Kevin Lensing, corporate vice president and general manager of the client business unit at AMD, to announce their collective work to bring Qualcomm Technologies modem technology to AMD’s high-performance Ryzen processor platforms. AMD and Qualcomm Technologies hope to make it easy for leading global PC companies to create premium computing platforms with virtually always connected, Gigabit LTE speeds alongside the AMD Ryzen mobile processors’ blazingly fast performance, fluid graphics rendering, and optimal efficiency. Katouzian unveiled Qualcomm Technologies’ next generation flagship mobile technology – the Snapdragon 845 Mobile Platform. The full unveiling of all the Snapdragon 845 Mobile Platform features and specs will take place tomorrow, Wednesday, December 6. Amon then came back on stage to invite ES Jung, president and general manager of the foundry business, Samsung Electronics, to confirm Samsung Foundry will be the foundry for Snapdragon 845 as the Companies continue to work together to advance the silicon manufacturing process. To highlight Qualcomm Technologies’ commitment to the China ecosystem, Amon was joined by Xiaomi Founder, Chairman and Chief Executive Officer, Lei Jun. Mr. Lei emphasized Xiaomi’s close relationship with Qualcomm Technologies in the premium tier and announced that Xiaomi’s next flagship smartphone will be powered by Snapdragon 845. This year’s Snapdragon Technology Summit features an inside look at the latest innovations built into Snapdragon Mobile Platforms, along with demonstrations that exhibit upcoming technologies and advancements that will continue to shape the way we use mobile devices, Always Connected PCs and other future technologies. Qualcomm’s technologies powered the smartphone revolution and connected billions of people. We pioneered 3G and 4G – and now we are leading the way to 5G and a new era of intelligent, connected devices. Our products are revolutionizing industries, including automotive, computing, IoT, healthcare and data center, and are allowing millions of devices to connect with each other in ways never before imagined. Qualcomm Incorporated includes our licensing business, QTL, and the vast majority of our patent portfolio. 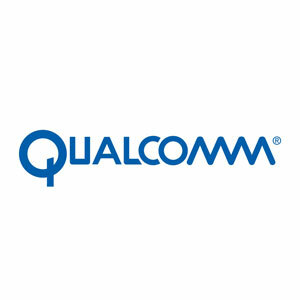 Qualcomm Technologies, Inc., a subsidiary of Qualcomm Incorporated, operates, along with its subsidiaries, all of our engineering, research and development functions, and all of our products and services businesses, including, our QCT semiconductor business. For more information, visit Qualcomm’s website, OnQ blog, Twitter and Facebook pages.